One of the most exciting endings to a playoff game just took place about an hour ago. 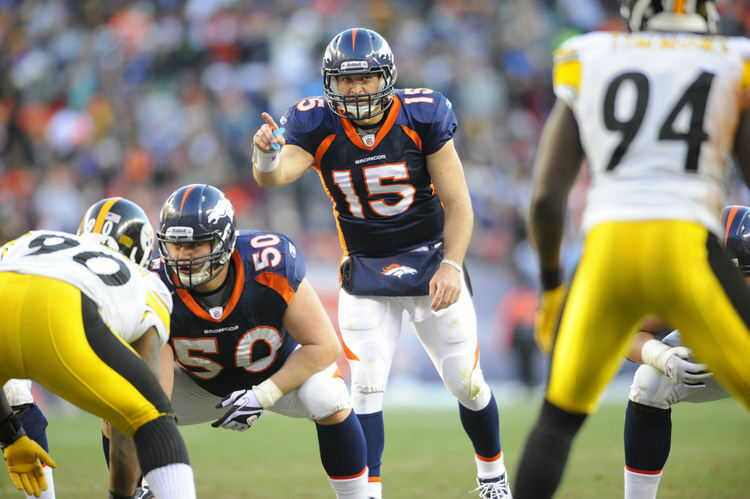 Tim Tebow, quarterback for the Denver Broncos, showed a bit more consistency in his play throughout the game and his defense was able to come up with big plays to force the game to go into overtime. After Pittsburgh ended up starting on defense, Denver came out on the first play from scrimmage and decided to go big. Tebow pulled back and fired a bullet pass up to Demarylius Thomas, who took it the rest of the way for a huge game-ending touchdown. The Steelers sit there stunned at the result and Tebow takes his traditional kneel down for a prayer. Most people predicted this to be the most lopsided match of the weekend with Pittsburgh winning in huge fashion, but the Broncos used the comments as motivation and pulled out the unpredictable win. While many make fun of Tebow for his spiritual commitments or call his praying fake/staged, he truly is a spiritual man who did not originally want to play football. Prior to playing football in high school, Tebow wanted to live his life as a missionary and began his involvement in a number of charitable efforts. In high school, he actually did not attend an organized program but rather was a home-schooled child. He and his family fought for his ability to play for his local high school but remain a home-schooled student. After receiving a scholarship to the University of Florida, he packed up his belongings and left for his first experience of institutional education. He was projected to be a leader in the shift in quarterback play, paving the way for a new style of running quarterbacks. 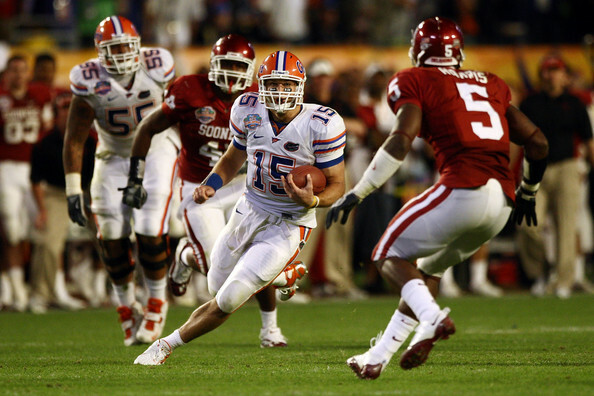 Though he sat behind starter Chris Leak (who led the team to their 2007 National Championship over Ohio State), Tebow immediately made an impact as the backup. He made his debut with a running touchdown on the goal line and contributed several touchdown over the course of the rest of the season. After assisting Leak in winning the BCS game, he was quickly identified as the starter for the upcoming season. Tebow went on to win the Heisman in the 2007-2008 season and was the 2nd runner-up the following year after actually receiving the most 1st place votes. The team struggled a bit during his Heisman season but won a national championship over Oklahoma during his junior year and beat Cincinnati in the Sugar Bowl during his senior year. During his time at Florida, there were many moments where he talked about his charity work, openly expressed his faith and was seen on the sidelines in prayer. Controversy actually arose when criticism came out about his use of eye black to project important messages involving biblical passages. During the National Championship game in 2009, he wore the verse title John 3:16 under his eyes. 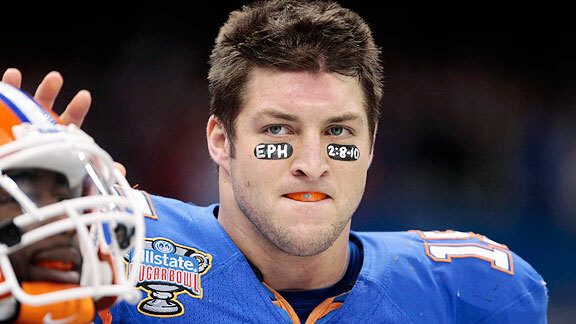 While he was not the first person to use the eye black in this way, the NCAA denied that his religious messages led to what later was unofficially nicknamed the “Tebow Rule,” banning the ability to use eye black for personal messages. 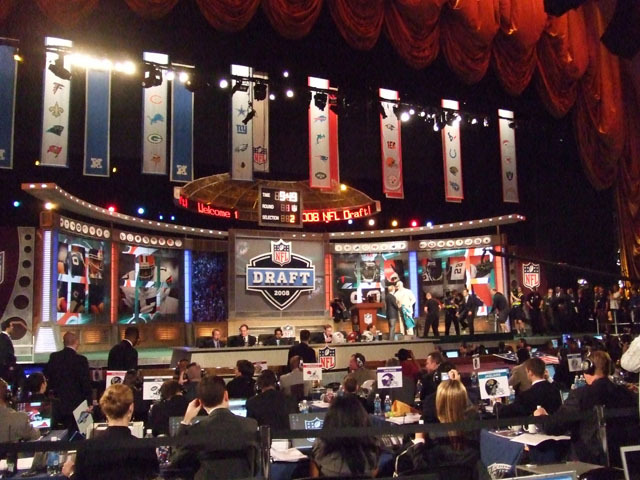 There was varied appreciation for his talents while heading into the NFL combine, there were several current and former NFL coaches that highlighted their interest in Tebow as an early 1st round choice but even more that placed him out of the 1st round. The Broncos took Tebow with their 2nd 1st-round pick, in a move that seemed to suggest their interest in Tebow as the future of the team. 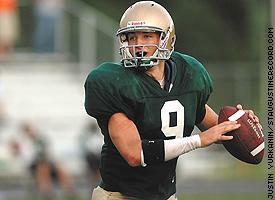 He was not named the immediate starter, as Kyle Orton had been acquired to hopefully lead the team to the playoffs. When they were clearly out of contention, Tebow received his 1st and 2nd starts, finishing the season with a 1-1 record as a starter and 2 Rookie of the Week awards. In his 2nd season, Orton got the start but was benched and traded away after the 1-4 record. Tebow got off to an astonishing 7-1 start with several 4th quarter comebacks. Even after losing in the final week, the team made the playoffs and pulled off the miracle victory described above. I do not know what the future holds for this athlete, but he at least has solidified himself as a quarterback worth watching and in which to invest a little faith. The critics certainly need to let go of the criticism regarding his faith and understand that his beliefs help to guide his success. While not everyone is a fan, Tebow is at least a genuine person and an exceptional athlete, more than his critics can really acknowledge. On a little of the friendly comedic side, my sister told me about one of her friend’s Disney movie idea to tell the Tebow Story. Using the Steelers as a evil team standing in his way, Tebow defeats the menace and stamps out a place for himself in NFL history. I would certainly see that film, unless Tebow were played by Zac Effron.